October 6, 2016 – NASA’s search for planets outside of our solar system has mostly involved very distant, faint stars. NASA’s upcoming Transiting Exoplanet Survey Satellite (TESS), by contrast, will look at the brightest stars in our solar neighborhood. After TESS launches, it will quickly start discovering new exoplanets that ground-based observatories, the Hubble Space Telescope and, later, the James Webb Space Telescope, will target for follow-up studies. TESS is scheduled to launch no later than June 2018. Astronomers are eagerly anticipating the possibility that, in the near future, all three space missions could be studying the sky at the same time. Planets around closer, brighter stars are ideal for follow-up study because they’ll produce stronger signals than planets around more distant stars. These planets have a higher signal-to-noise ratio, which measures the ratio of useful information — the signal — to non-useful information — the noise — that a telescope receives. These signals might also include a chemical sampling of an exoplanet’s atmosphere, which is an exciting prospect for scientists hoping to search for signs of life on distant worlds. TESS will do the initial roundup of exoplanets, with the potential to identify thousands during its projected two-year mission. One of TESS’ main science goals is to identify 50 rocky worlds, like Earth or Venus, whose masses can be measured. The TESS Science Center will help identify and prioritize the TESS Objects of Interest (TOI) for follow-up. TOI are objects that scientists believe could be exoplanets based on TESS data. Ground-based telescopes will confirm which TOI are exoplanets, and from there will help determine which are rocky. The center is a partnership between MIT’s Physics Department and Kavli Institute for Astrophysics and Space Research — where TESS Principle Investigator George Ricker resides — the Smithsonian Astrophysical Observatory in Cambridge, Massachusetts, and NASA’s Ames Research Center in Moffett Field, California. The main thing space- and ground-based telescopes hope to find out about the TESS targets with follow-up observations is what these exoplanet atmospheres are like. Exoplanet atmosphere exploration is one of the Webb telescope’s four main science goals. NASA’s Webb telescope and ground-based telescopes will determine the atmospheres of exoplanets using spectroscopy. In this process, telescopes look at the chemical signatures of the light passing through exoplanet atmospheres. This signature can tells scientists what chemicals are in the planetary atmosphere, and how much of each there are. It can also help scientists determine whether a planet could be habitable. 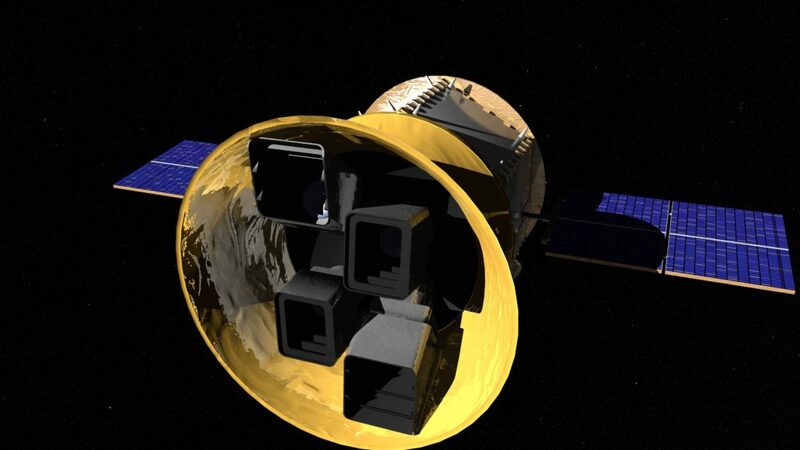 Exoplanets aren’t the only science that will come out of the TESS all-sky survey, however. While scientists expect to spot a transit signal that could reveal exoplanets around only about one out of 100 stars, virtually every star in the sky will be monitored carefully and continuously for at least 27 days, resulting in a wide variety of variability to be explored. The TESS Guest Investigator (GI) Program will allow for deeper investigations of astronomically interesting objects, either through TESS data alone, or by identifying interesting variables for further study with the Webb telescope, Hubble and other ground- and space-based telescopes. The GI Program will look at variable objects, such as flare stars, active galaxies and supernovae, and may even discover optical counterparts to distant transient events, such as gamma-ray bursts. Only the number and type of exciting proposed ideas the program receives limit what TESS will find through the GI Program. Between the mission’s exoplanet survey and the GI Program, TESS will provide the best follow-up targets for many missions to come. “TESS not only will provide targets for the Webb telescope, but for every telescope we plan to build on the ground and in space over the next two decades,” said Mark Clampin, director of the Astrophysics Science Division at Goddard. With such an exciting future, scientists from around the world are watching the progress of the TESS mission, and anxiously awaiting its launch. TESS’s flight Master Avionics Unit (MAU) was developed by SEAKR Engineering, Inc. The MAU provides spacecraft and payload control, telemetry monitoring, power distribution high-speed payload data collection and storage. SEAKR’s campus is located in the Denver Technology Center in Centennial, Colorado.